the Tour de Chequamegon will be a self supported ride. 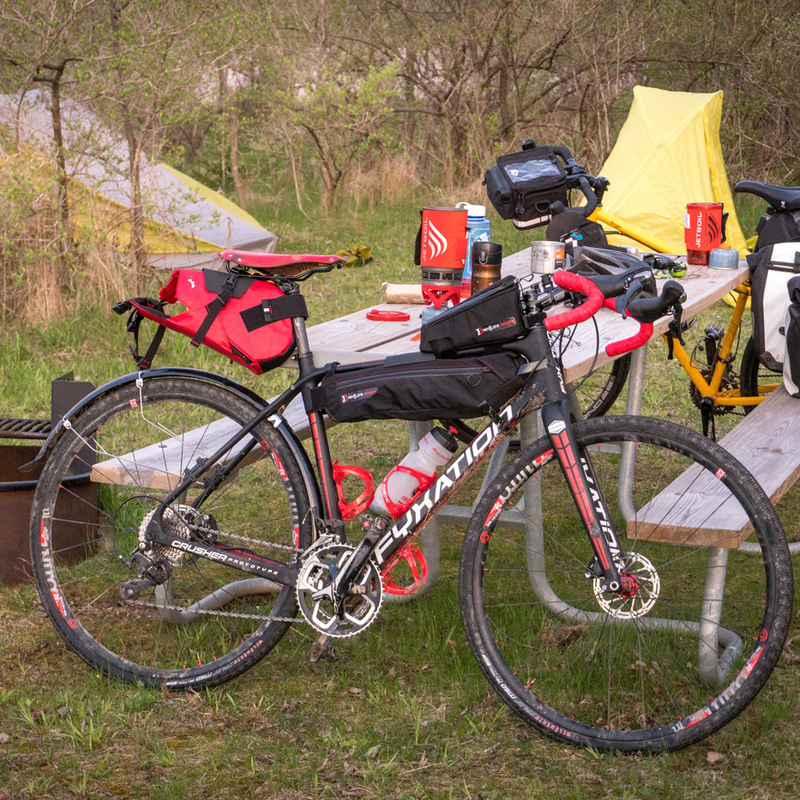 We will ride as a group and you'll need to have your camping provisions and repair gear on hand. You don't have to carry your cooking supplies or meals (with the exception of ride fuel), we'll meet the group at camp and have meals and refreshments ready. Fyxation and the Bike Fed have done the recon and below are some helpful tips and details about what to expect on the ride. We hope everyone will stick together in a group and we will lead the ride at a conversational pace. People should however bring the route on a GPS, Garmin, Phone App like RideWithGPS, etc. You can also draw the map on paper, use theRideWithGPS cue sheet and follow mileage on a cycle computer to know when to make turns. Be aware there is no electricity, so your phone or Garmin must last the entire trip. I use a Shutter Precision hub dynamo and Bush + Müller Luxo U dynamo powered light that will also keep my phone charged. I then have the route downloaded to my phone from RideWithGPS because their is no cell coverage for much of the route. what will the camp culture be like? We are hoping to round up a couple local speakers to share some wisdom about the forest with us while we sit around the campfire. We will have some craft beer and other non-alcoholic beverages, but this is NOT a raging party with bike jumping through the fire. Feel free to bring a book or go hike or ride around the camp sites and explore a bit.